I love trying new things. If you’re a frequent visitor to The Café you’ll know I love to put a little bit different twist on things to take the ordinary and spin it in a whole new direction. But every now and then I get the urge to go more traditional, just to see if I might be missing out on anything really wonderful and that’s what I was thinking last week when I decided to make marmalade. We enjoy homemade jams and jellies and I’ve been making them for as long as I can remember. Traditional jam making involves preparing the fruit, sterilizing the jars and lids, simmering the fruit mixture on the stovetop and finishing with a water bath to seal the jars and give them an extended shelf life. Being a bit lazy, that always seemed like a lot of work to me, plus I didn’t like the way cooking the fresh fruit changed the taste and color. Years ago I learned about freezer jam, decided to give it a try and it’s been my modus operandi ever since. I love the idea of retaining the vibrant flavor and beautiful hues of fruit straight from the vine, tree or garden. Freezer jam eliminates the need to sterilize the jars, simmer on the stove top and the complicated (to me) water bath. It’s so simple that I’m almost embarrassed to tell you; cut up the fruit, add sugar, stir it all together with pectin and fill up the jars. Yup, that’s it! The result is jam with the freshest, most delicious flavor and if you close your eyes and take a taste, you might get magically transported to your favorite strawberry patch, apple orchard, or vineyard! NOT! I was so disappointed and the results were definitely not blog-worthy. Check out the photos and you’ll see just what I mean. We have a commitment to only post recipes that we LOVE here at The Café. We did not love this marmalade. The freshness of the fruit had disappeared and the color is dull and lifeless-looking. SO, I learned my lesson and this week I decided to re-do the marmalade with my oldstandby freezer-jam method. The pictures tell the delicious story and this one had to make the blog! 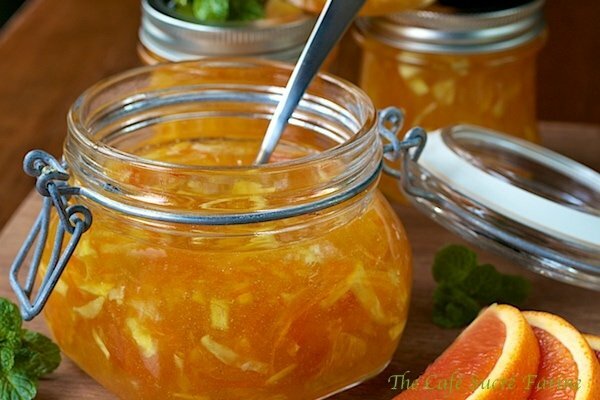 Fresh pineapple and seasonal navel oranges combine to make a delicious, vibrant flavored marmalade. We love this on toast, scones and English muffins, but it’s also wonderful in sauces for main entrees and a fun delicious ingredient for appetizers and desserts. I love having jars of marmalade in my freezer for instant hostess gifts and thoughtful treats for family and friends. Whip up a batch today before the delightful orange season disappears it will be like having jars of sunshine in your freezer! This marmalade is easy to make with no canning knowledge necessary. It's like spreading sunshine on your morning toast! Prepare glass jars or plastic containers and lids by washing them in hot soapy water or in a dishwasher. I like to use 1/2 pint and 1/4 pint size jars, but feel free to use any size. The recipe will make 5 cups of marmalade. Remove the colored part of peel from the oranges using a vegetable peeler or zester. I like to use one of these. It works perfectly to remove small strips of zest. If you use a vegetable peeler, cut the peel into thin slivers, or finely chop. Peel and discard the remaining white part of peel from the oranges. Finely chop the orange fruit, discarding any membranes and saving any juice. Mix fruit and juice with the slivered peel and add the pineapple. Measure 2-1/3 cups of the fruit mixture into a large bowl. If you have extra, discard or save for another use. Stir in sugar. Microwave on high for 3 minutes, stirring every minute. Allow to sit for several hours stirring occasionally until all sugar crystals are dissolved. If necessary microwave again for 3 minutes to dissolve any remaining sugar crystals. When fruit mixture is completely combined with the sugar, combine the water and pectin in small saucepan. Bring to boil on high heat, stirring constantly. Boil and stir 1 minute. Add to fruit mixture; stir continuously for 3 minutes. Fill all containers immediately to within a 1/2" of tops. Wipe off top edges of containers; immediately cover with lids. Let stand at room temperature 24 hours. Marmalade is now ready to use. Store in refrigerator up to 3 weeks or freeze extra containers up to one year. Thaw in refrigerator before using. Makes 5 cups marmalade. This is one of the best “freezer jams” I have ever made. Easy, dependable recipe. Everyone who tries it at my house loves it. 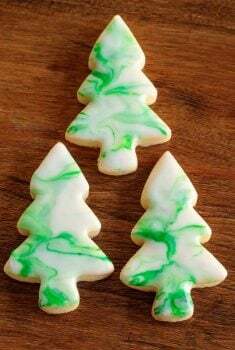 Plus it is something you can make in the middle of winter when pineapples and Florida oranges are in season. You can’t beat it! Our of curiosity, how many jars does this make? My dad is a huge fan of marmalade, and I want to make this for him for Christmas. I just don’t want to make too much as he’s the only one who eats it. It makes 5 cups of marmalade. Nice recipe: I have recently started to grow oranges in my backyard so this is timely. Cannot wait to try this! I have been putting a little spoonful of marmalade in my greek yogurt in the morning! Homemade is always better! Ok, I need to know where you got those cute shaped jars? I’ve never seen that shape before with the flared bottom. And you are right about freezer jam – it does taste like summer fruit in a jar. Yum, this would be great used in an orange chicken sauce! Chris – I love making jams and jellies too! Always done the traditional method but need to give yours a whirl. Our lemon tree is full and I have been contemplating making lemon marmalade with a twist and you have certainly inspired me. Happy Weekend!! Wow, what a difference in color! I recently made some Orange Rolls in a cast iron skillet and I needed marmalade. This would be excellent in them. I also wanted to tell you that I just posted the Avocado Recipe on my blog, if you would like to check it out. Oh the marmalade looks fantastic and I love the combination of orange/pineapple. As always the photos are gorgeous! I’m so glad I found your blog through Angie. This marmalade looks delicious, I will try your recipe. The freezer version definitely looks more appetizing! The marmalade looks very tasty. Thank you for sharing. I love orange marmalade and pineapple marmalade but combined, now that sounds like a winner combination. Thanks for sharing Chris! really love the color of this marmalade is stunning! Beautiful bright colors in your marmalade-my toast would be very happy in the morning with a spoonful of your beautiful marmalade! Wow what a perfect looking marmalade! I bet the flavor is out of this world amazing, great recipe! Your second version may be the most vibrant marmalade I’ve ever seen. It’s gorgeous. I do love the addition of pineapple in there. That would add fantastic flavor. Orange marmalade is my favorite. Add pineapple to it and it only can get better. I definitely know which one I would choose and would love to try! I’m sorry you had such a disappointing experience. Your freezer marmalade looks wonderful. I never knew you could make marmalade like this Chris! It definitely looks more appealing than the dark brown experiment. May I have a spoonful for my toast please? Definitely will be trying this, thinking it would be a great addition to some roasted salmon. Thanks, sounds delicious!